I have a BT-2 in a trans blue/green color. 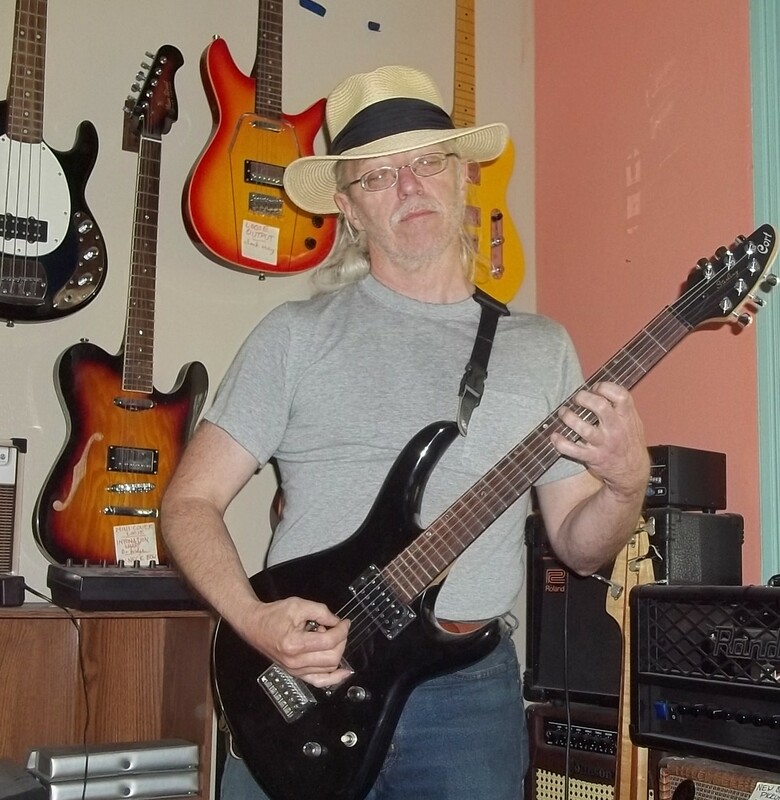 It was my first guitar. I bought it lightly used back in 1999 I think? I'm tempted to refinish it, but I can't quite tell what I'll find. It either has a veneer on both the front and back, or the body pieces are very well matched. If it is a veneer, it's VERY thin. I'd hate to find it's a paper thin veneer covering up really poorly matched wood. Does anyone know if the transparent would be the Caribbean Blue, or maybe the Tiffany Blue? In all seriousness: is there any particular NEED to refinish it, or are you just bored with the color? I've seen very few blues on the market. Removing paint is one thing. 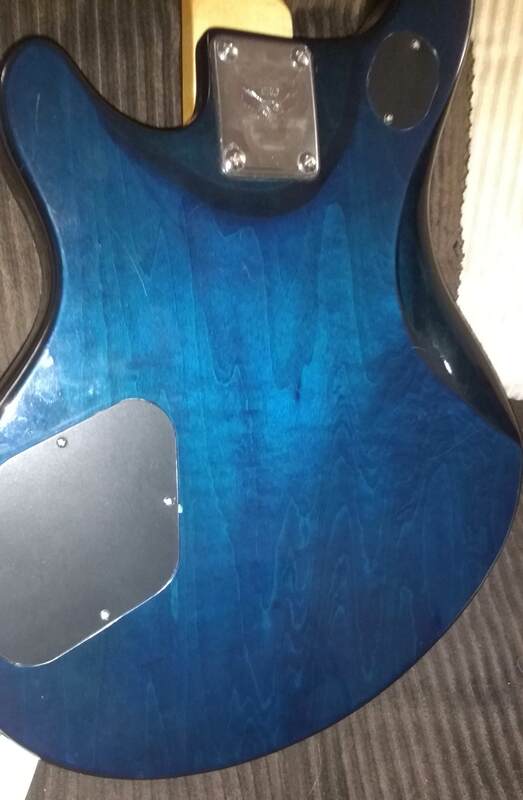 If it's a stain (rather than a tinted clearcoat), that's quite another & would require removal of some wood, which is hardly an easy process on a guitar body. As far as I can determine, only the BT-2Q had a veneer. In any case, it's VERY unlikely a guitar in that price-range would have the back veneered. Did some digging...looks like it would be from 2000. That would make sense, too, as I turned 14 in 99' but I didn't get it until that next summer. They just called in Trans Blue (TBL). In the pictures, it's very blue. In some lighting, it has a bit of a green hue to it. Actually, I'm pretty pumped I got it for the price I did. I had figured I'd just get one of the cheap Squire Strats of the time, but my Dad convinced me to go check the used rack again. Found this baby over there for like $180. I guess I don't NEED to refinish it. As you can see from the pictures, the front is pretty dinged up. The knobs on the toggle and pots broke and it needs new pickup rings. If the wood underneath looks decent, I'd love to have it as a natural satin finish. I'd be replacing the toggle, pots, pickup rings, knobs, etc. Needs a fret job, too. When I look inside the cavities and in the neck joint, it looks like the color is part of the clear coat/poly and not a dye. I'm not looking to resell this guitar or anything. 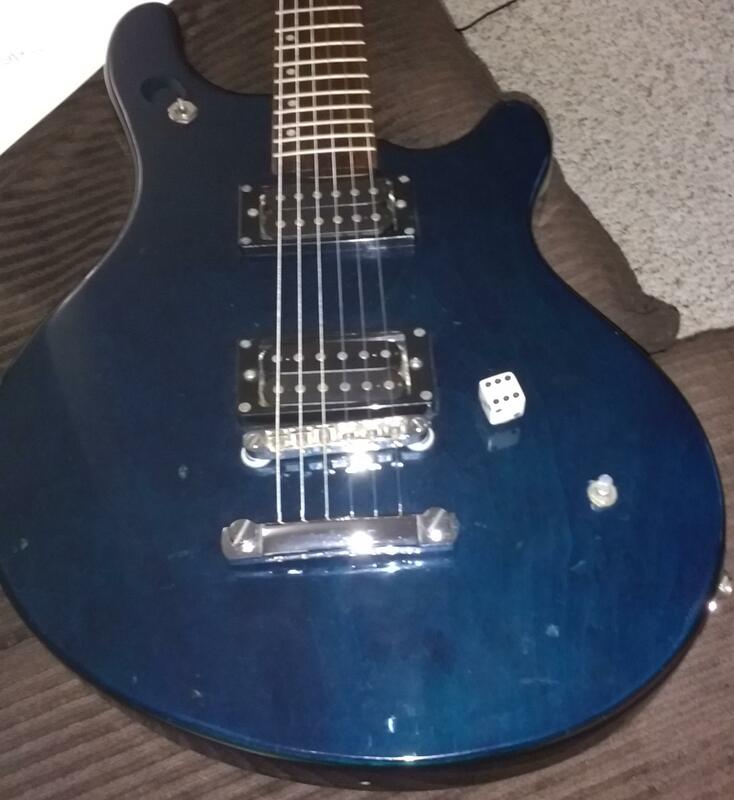 It was my first guitar and I'll never sell it. This is just something I've been interested in doing to it for years now.